Mover Packer caters the need for international packing and moving as well. We at Mover Packer have partners packers and movers to assist you in your move at any location around the world. Mover Packer prominently present in one of the fastest growing economies of the world – India – with our offices in Delhi, Mumbai, Bangalore, Chennai, Ahmedabad, Kolkata and Hyderabad. We have global vision, hence we incorporate a suite of integrated techniques, tools and spacious warehouses for our clients be competitive world wide. At Mover Packer we believes in Customers comes first and we always get the job done quickly, efficiently. 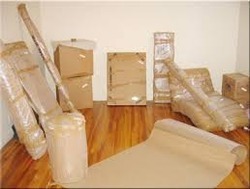 We have experienced employees to take care of your goods in packing and moving process. Our shifting process is very simple you just need to call us and then it's our responsibility to shift your goods with care and perfection at your desired location without any hassel. We are the Best Packers and Movers in India. Be it residential relocation or commercial or industrial relocation we are capable enough to shift you goods with ease. Every time we use standard methods and techniques to pack you goods with quality packing material ensuring the safety of your goods and items. We make sure that your move goes as smoothly and as timely as possible.